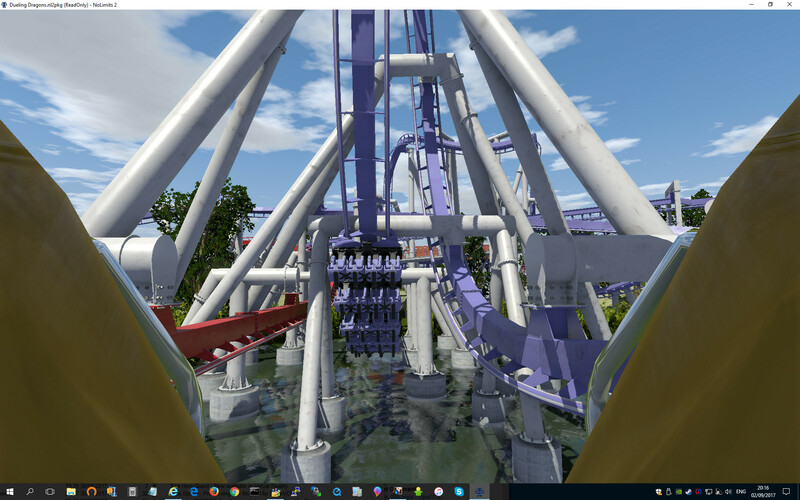 Dueling Dragons (US spelling) is a two track “duelling” (UK English) B&M suspended roller coaster at Islands of Adventure in Universal Studios Orlando. 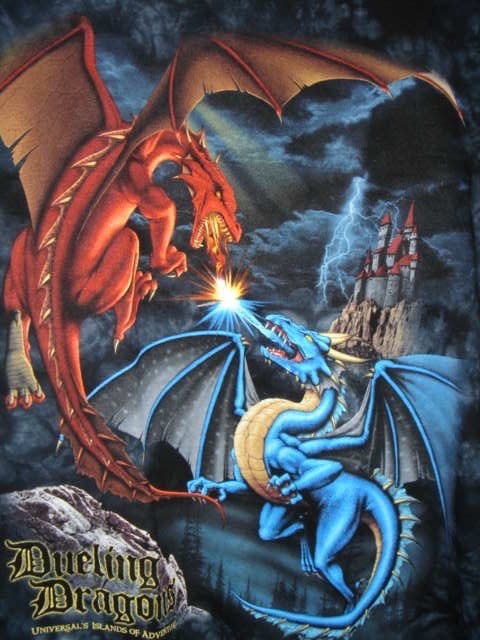 The ride is themed as two dragons… Chinese Fireball (Fire) and Hungarian Horntail (Ice). 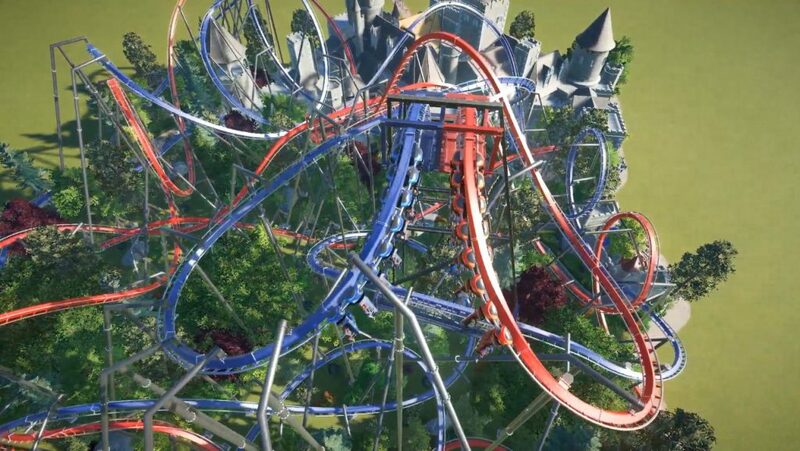 It was opened on 28th May 1999 and was converted to become Dragon Challenge in 2010 to fit into the Harry Potter theme of the area. 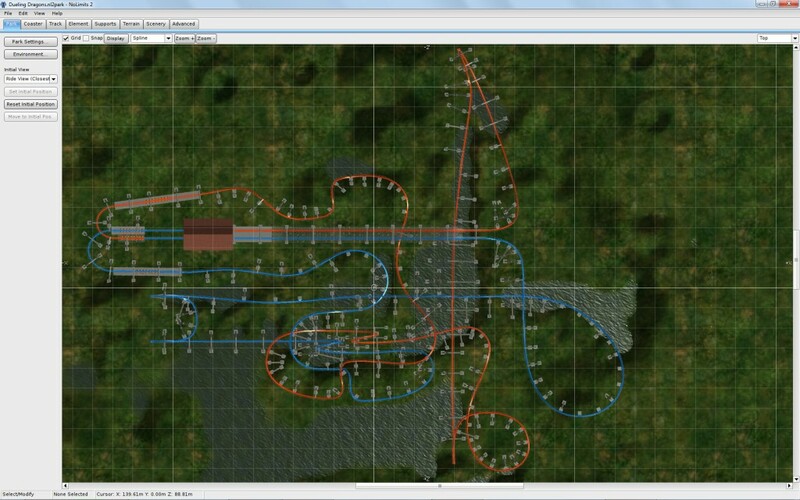 After some accidents related to injury caused by loose articles, the coaster ran without the synchronisation of the trains from 2011 until the coaster closed on 4th September 2017. 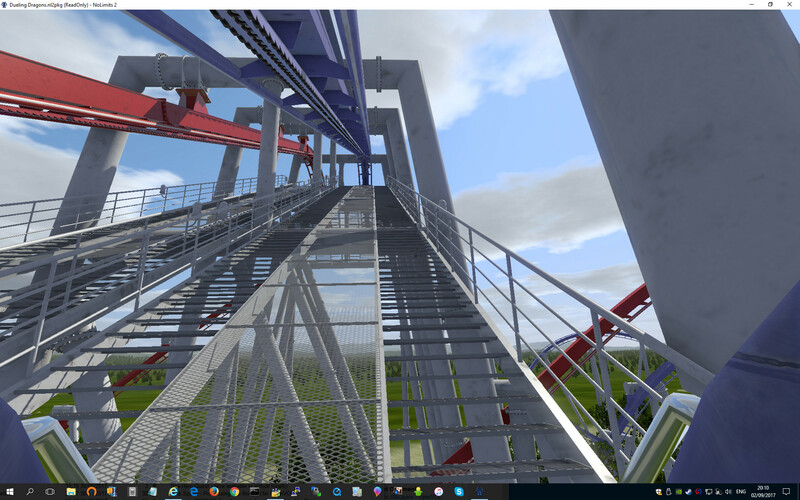 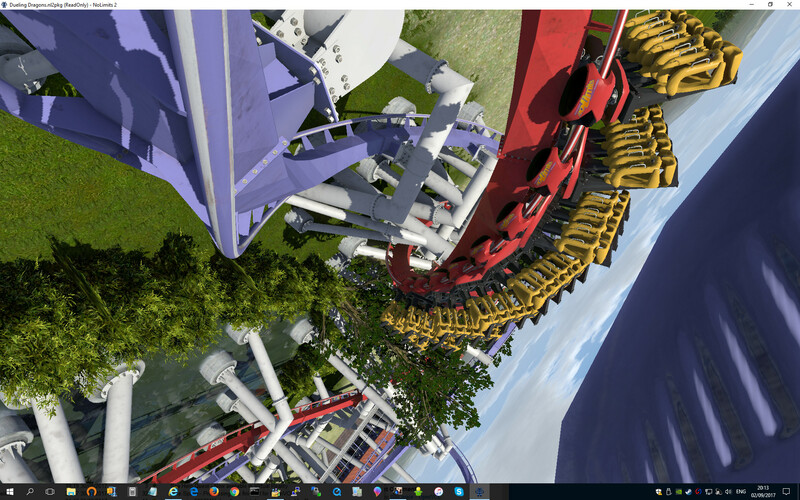 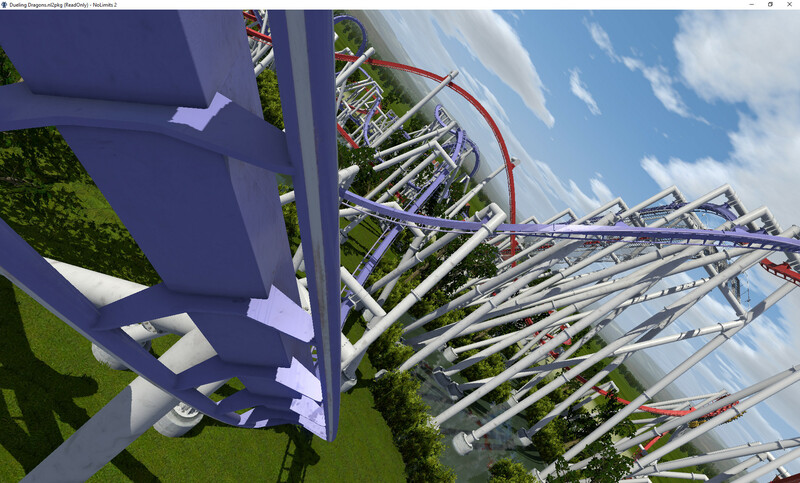 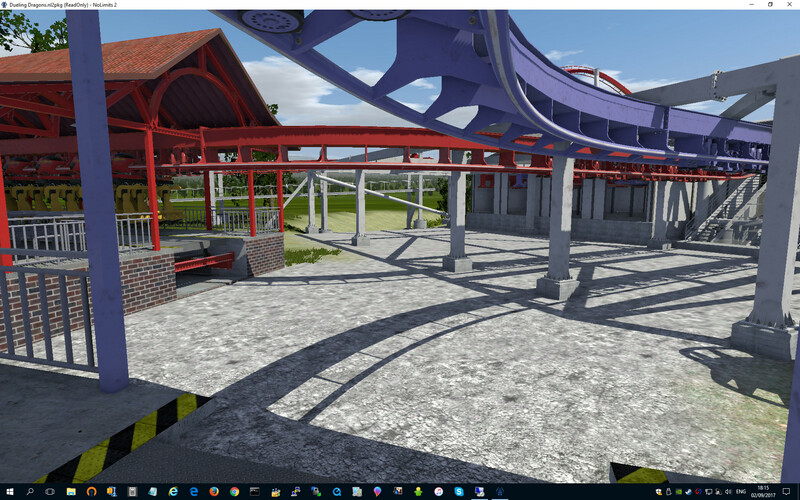 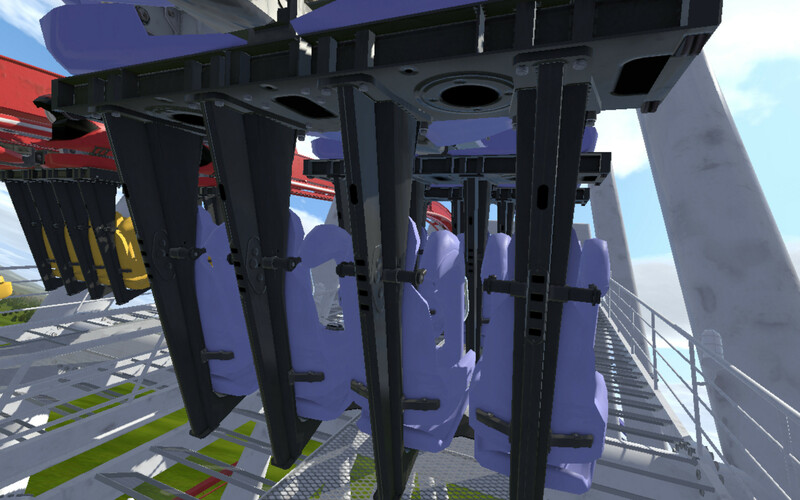 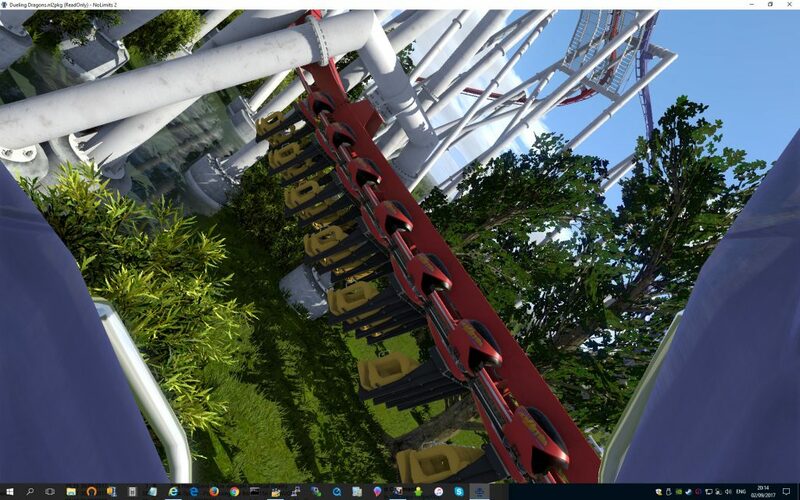 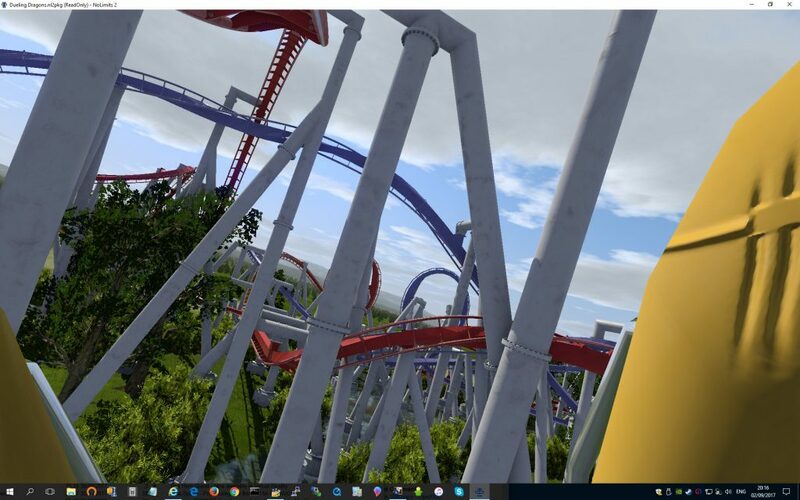 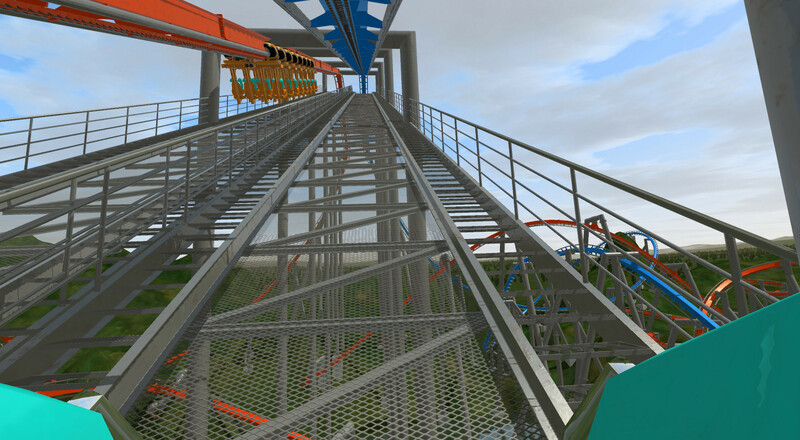 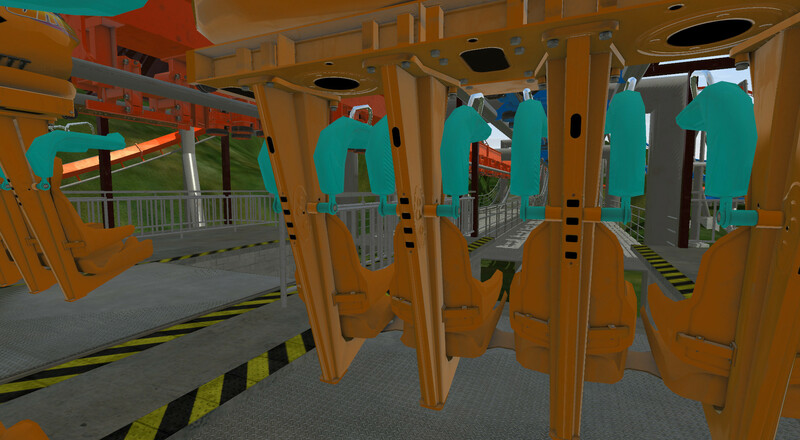 The roller coaster can still be experienced in virtual reality via the NoLimits2 Roller Coaster Simulator and some other roller coaster simulators. 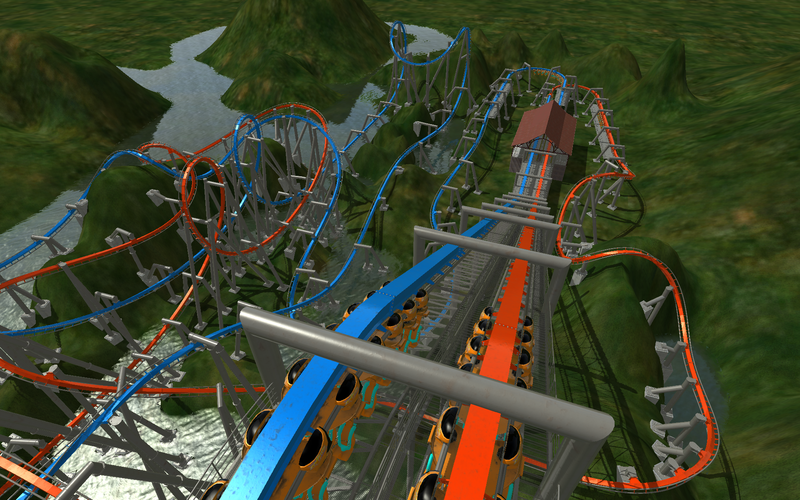 This is my favourite fan-produced version of Dueling Dragons from NoLimits Exchange. 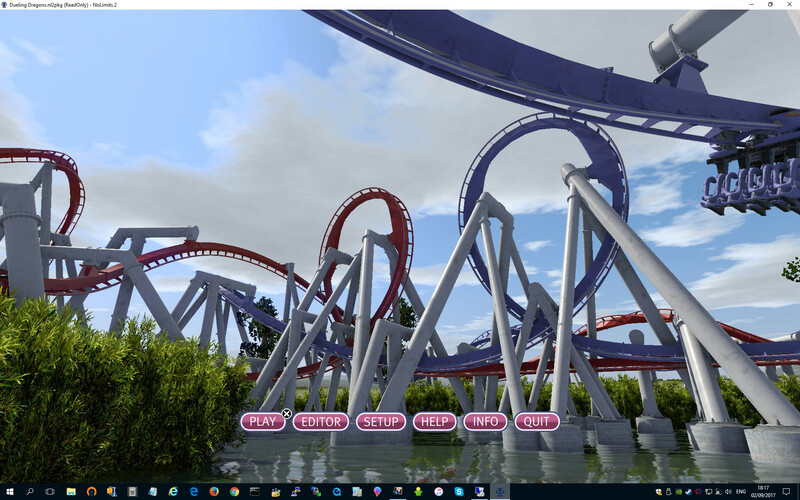 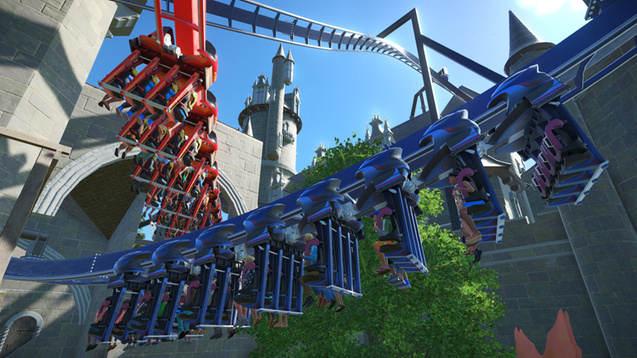 This entry was posted in Games, VR and tagged Dueling Dragons, NoLimits, Roller Coaster. Bookmark the permalink.